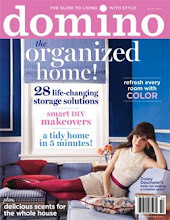 The Inspired Decorator: Get Organized! I have been a bit obsessed recently with getting organized. Last weekend Rob and I cleaned out the basement which we've been talking about doing since we moved in...2 years ago. It felt SO good to just throw stuff out and take a whole carload of stuff to Goodwill. Now that we cleaned out the basement, we want to organize it by getting some shelves, plastic bins to store off season things, etc. It has also urged me to try and get a little more organized in the rest of our house with the day to day things. Getting organized is something that people make a profession doing, so, there are lots of great things out there that help us. My favorite place to acquire organization paraphernalia is IKEA. I decided to take a trip to IKEA last week with Aiden just for something to do. He is always happy at IKEA in his stroller surrounded by all the stimulation of home decor. Here's some IKEA organization at its best....inspiring eh? I picked up a pair of the ever-so-popular KASSETT boxes. And, here is some exciting news- this year they dropped the price from $9.99 for 2 to $5.99 for 2!!! These boxes are so great- we have them in every room of the house. They are sturdy and last a long time. We have some from when we got married 4 years ago and they are still going strong. I think they look best in white. I was perusing the bathroom section when I found this set of little baskets for only $4.99. I thought the big one would be perfect for holding my make-up and I decided to use the middle one for holding my hand lotion and lip salve on my nightstand, and the smallest one to hold boxes of matches on the back of the toilet. I think they would also look cute all lined up next to each other. My favorite place to find big baskets and bins is TJ Maxx or Marshalls. They always have great baskets and they are always so cheap. We use a lot of baskets and bins for organizing all of Aiden's things. We shove all his toys in those 2 bins that fit perfectly in the shelves in our living room. I found this neat little box in the last picture on clearance a couple years ago for $5 because the handles fell off, but I think it makes it look like an antique without them. 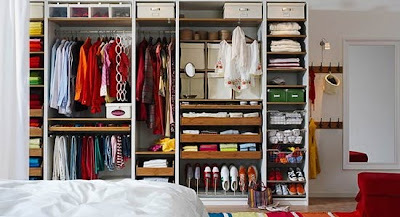 Do you like to be organized and find pretty ways to do so? My next thing to tackle on organization is our utensil drawer in the kitchen- it's a bit scary looking so don't expect any pictures of that. I'm just getting caught up on your last 2 entries. I think it's great that you're so organized, and, (as I may have mentioned before) I'm counting on your skills when Dad & I make the decision to move!